GBCT’s latest newsletter is now available. You can read it below or download it, with full pictures, in PDF here. Our previous Cake Bakes have been successful in spreading the word about GBCT and have most likely contributed to the increase in volume and variety of the grant applications we’ve received. 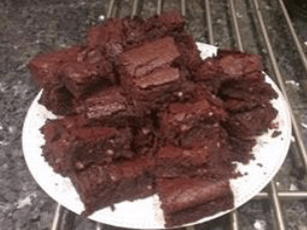 This year we’re focusing on one special cake, a favourite of George’s, and one specific aim, which is to have a chat about GBCT over a brownie and to help spread the word further. It’s easy to get involved and is a great excuse to enjoy some delicious cake! Find out more on our News page at www.gbct.org.uk/news. One of GBCT’s latest grants is to Rise:61, a youth and community development charity set up by local residents to serve the residents of Bemerton Heath in Wiltshire. Rise:61 applied for support for their new Bemerton Heath Bike Hub project, which aims to provide vocational training and volunteering opportunities for the most vulnerable teenagers in their community, which is in the top 5% most deprived wards in the country. GBCT is pleased to be able to support Rise:61 with a £6000 grant to enable the purchase of the cabin, which is needed to accommodate the teaching sessions. Teaching up to six young people at a time, the Bike Hub Manager, supported by adult and youth volunteers, will guide them in gaining qualifications in bike maintenance and cycle leading. The project follows a similar model to established projects in London and is intended to help the young people develop workplace and business skills that will support them in finding employment in cycle shops, or elsewhere. Rrise:61 intends to have 20 to 30 young people engaged in year 1. 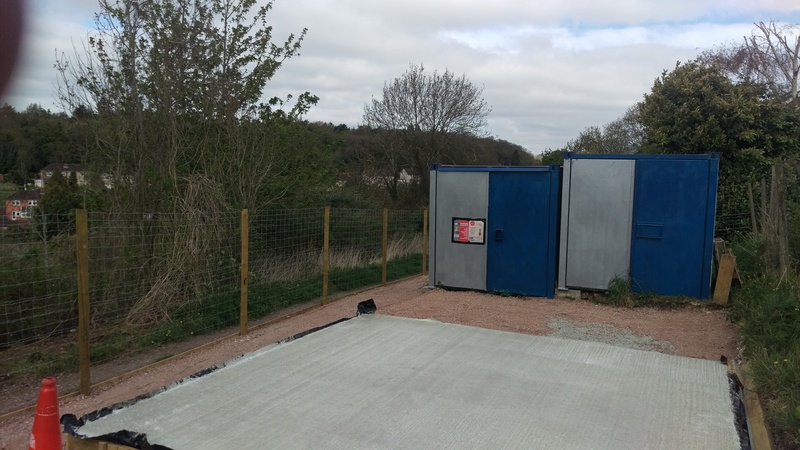 To date the site has been prepared and the cabin will be delivered soon. GBCT wishes them every success and looks forward to sharing updates on how the project progresses. In our previous newsletters we’ve been sharing updates about the great work taking place at All Saints Church in Weston, Surrey, following a GBCT grant. Since our last update, GBCT have been asked to provide support for further AED familiarisation sessions in the autumn, owing to the success of the three already delivered in partnership with the Church. We’ve also been sent a few pictures of our GBCT team in action. Well done again to Matthew Leopold and Iain Bennett for their great work. To support volunteering among young people, GBCT has provided a £1460 grant to Revitalise, who run the largest residential volunteering programme of any UK charity. Providing inspirational volunteering opportunities is one of Revitalise’s charitable objectives, which in turn supports its core objective of providing respite care in a holiday setting for disabled people. GBCT’s grant will enable 20 young people to volunteer with Revitalise over a week long period at their Jubilee Lodge site in Chigwell, Essex. The grant covers the costs involved in hosting the volunteers, for example training, expenses and costs at the host centre. Typically Revitalise find that their volunteers report an improvement in attitude and understanding towards disabled people; improved job prospects; and increased community participation. We look forward to letting you know how the GBCT supported volunteers get on. The enhancement of skills among young people is the aim of UK Youth. A charity that has been transforming the lives of young people across the UK for over a 100 years, their mission is to build a bright future for every young person. GBCT has provided a £1000 grant to provide up to 30 young people from disadvantaged backgrounds with an educational break at their outdoor activity centre in the New Forest. Typically the participants are not in education, employment or training. The staff work with them outside the classroom, beyond their normal environment, combining a tailored educational programme with extensive portfolio of adventurous outdoor activities e.g. zip wiring, to have a lasting effect on their personal and social development. The GBCT day is likely to take place in May and we plan to share an update in our next newsletter. Our fourth new grant is to a previous GBCT grant recipient who we provided an update on in our last newsletter. GBCT awarded a grant to Criminon in 2016 to support the enhancement of skills among young people, by providing distance learning courses for young offenders. The Trustees were impressed by what Criminon achieved and are pleased to continue GBCT’s support in 2017, providing a further grant of £1620 to support another ten young offenders. In our last newsletter we introduced a new feature, to recognise the work of our volunteers. In this edition, we’re also going to share a secret and name the lady who is the inspiration behind our fantastic social media pages. Faye met George whilst he was at Durham, through her now husband Ian, also a GBCT Trustee, who was at St Aidan’s College with George. Faye trained as a petroleum geoscientist and, having worked in the oil industry, is currently completing her teacher training to teach secondary geography in Surrey. Faye’s creativity and engaging style are clear in our social media posts (you might be able to spot when Ian is standing in!) and in the past two years GBCT has gone from zero to 400 followers across its social media pages. Keeping the pages up to date is quite a challenge and Faye’s always on the look out for good stories to share, so do please share your news via our Facebook page or contact Faye via info@gbct.org.uk. GBCT relies upon the generous donations of its supporters and the Trustees would, once again, like to thank all of GBCT’s donors. The Trustees would like to convey a special thanks and also their condolences to the family of Mark Pini, a family friend of the Bairstows. Mark sadly died recently at a young age and the family kindly asked that donations in his memory were given to GBCT. In other fundraising news, GBCT has been a winner! GBCT collected 50% of the proceeds from the Grand National sweepstake at Brompton’s Old Post Office Tavern. Collecting the ‘winnings’ from Neil Sands, who runs the Tavern, are Maria (George’s mother), Lucy (George’s aunt) and Honey. If you’d like to make a donation you can do so via our website www.gbct.org.uk and if you’re raising funds for GBCT please let us know. We’d love to be able to say thank you and support you via our social media pages. The GBCT was set up in March 2014 in memory of George Bairstow and exists so that the difference George made to people’s lives can continue. George was committed to charitable work and lived his life to help others. He died in November 2013 in a car accident, returning home from a volunteer duty with St John Ambulance on Bonfire Night. Find us on Facebook at georgebairstowct for all the latest news and pictures and, don’t forget, we’re on Twitter too at gbct_uk. Copyright © 2017 George Bairstow Charitable Trust. All rights reserved. 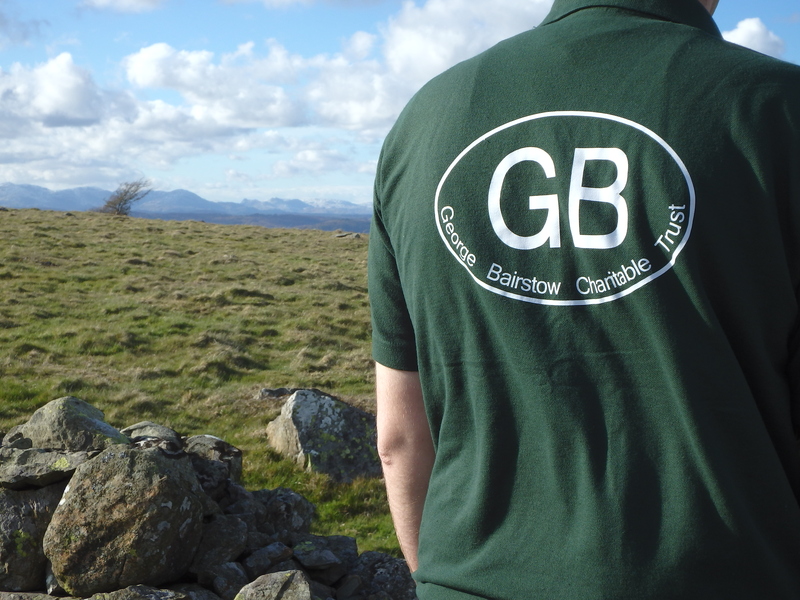 George Bairstow Charitable Trust (GBCT), a charity registered in England and Wales (1155769).